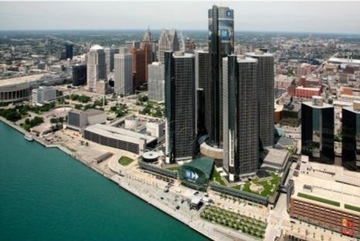 The Detroit, Michigan Chapter founded in 2013 is located in the magnificent Motor City! On June 15, 2013, The Pierians, Incorporated, Detroit, Michigan Chapter was established as the organization’s 11th active chapter. Pierians from across the country descended into Detroit to celebrate and witness the historic chartering. 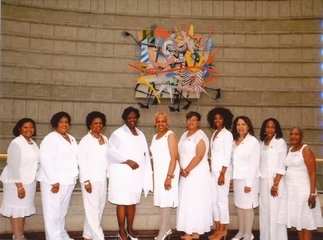 In August 2012, 11 Detroit-area women organized the Greater Detroit Area Interest Group of the Pierians, Inc. For nine months, the women engaged in works that were a part of the chartering process. The organizing spirit behind the Detroit, Michigan Chapter, Pierian LaNesha DeBardelaben, was originally inducted into the Flint, Michigan Chapter in 2004. Having relocated to Detroit in 2011 to serve as Director of Archives and Libraries at the Charles H. Wright Museum of African American History, LaNesha knew that Detroit would be an ideal location to establish a chapter, as Detroit has a thriving arts culture. She worked with Pierians Mary Bracey then Verna Jackson, former and current National Chapter Establishment Chairpersons, to complete the preliminary work of organizing a group of 10 women interested in the arts. LaNesha recruited a few women, who then recruited a few more. Soon, the core group of 11 was established, and worked brilliantly together. The Detroit, Michigan Chapter, has grown in the last two years. We were excited to welcome our 2014 new members; Pierians Celeste Browning, Angela Jordan, Mary Nicholson, Cecelia Sharp, and Linda Whitaker. In 2015, we enlarged our membership again by welcoming Pierians Paulette E. Boggs, M. Faye Mance, Teri Page and Paula Watkins-Whittaker, PhD. We are extremely pleased to have offered scholarships in the 2014 and 2015 years. Our scholarship recipient for 2014 was Christian Sands, cellist, and a sophomore at Wayne State University in Detroit, MI. Our 2015 awardee is Khadiya Knight, violinist, and a freshman at Michigan State University in East Lansing, MI. Both of these students are majoring in music performance. We look forward to their musical growth and their contribution to the performance stage of music as world-class artists. In September 2015, we had the honor of hosting our National Executive Council Meeting. It was held at the Hilton Garden Inn in Detroit, MI. It was indeed a pleasure to welcome our sisters to our city and showcase our cultural jewels including the Motown Museum, Detroit Public Library and the Virgil Carr Center. All of our visiting members left with a “Taste of Detroit”.